Crumar is proud to introduce the new MojoPedals, a 13 note MIDI pedalboard which complements the MOJO and any other MIDI organ or keyboard. 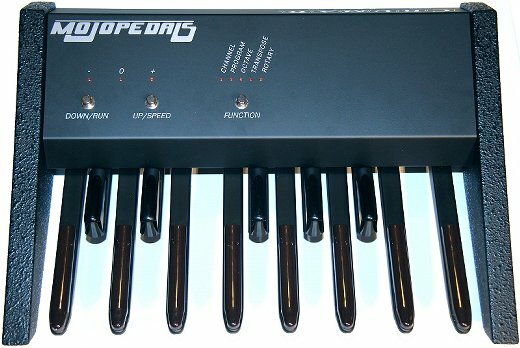 Crumar MojoPedals is a 13 note MIDI pedalboard conceived to complement the Mojo organ but can also be used as a generic MIDI pedalboard to be connected to any MIDI capable equipment. High quality metal pedals offer superior control over the playbility of the instrument: you can now expand your organ setup with this modern, lightweight accessory which offers basic but very useful functions.